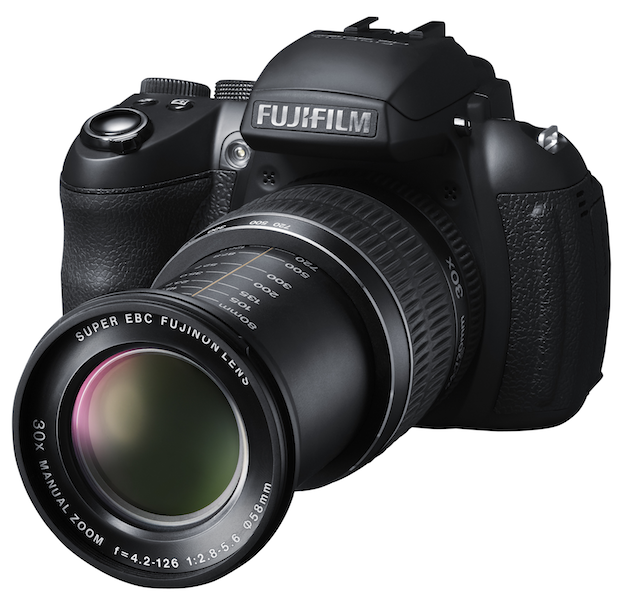 Just prior to CES, Fujifilm is announcing a whole slew of new cameras. And before you get too excited, we’ll kill your buzz right now: no, this will not include a mirrorless/micro-four-thirds device. Hopefully we haven’t lost your attention because Fujifilm will be revealing some impressive new cameras—including a new member of its well-loved X-series family. Read on for a first look. Right off the bat, it needs to be said that the X-S1 doesn’t look much like what we’ve seen from the X-series. Where is the throw-back styling? The vintage feel? Well, there’s a small resemblance in that textured finish, but other than that this has a much more entry level DSLR look and feel to it. 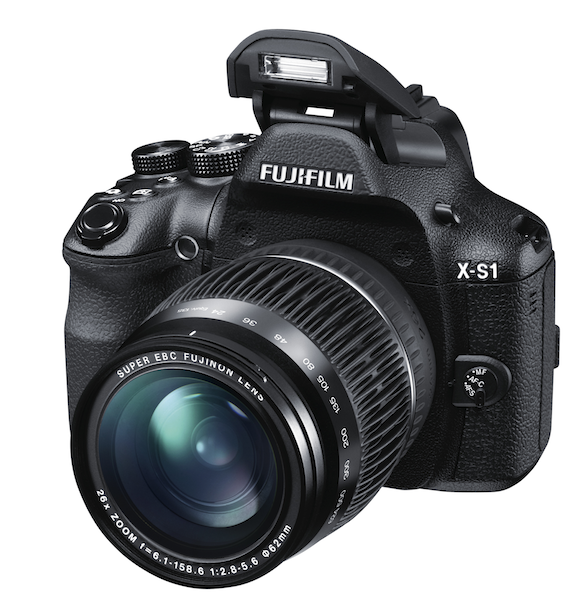 Hopefully looks alone won’t make you write off the X-S1, because it’s a beast of a different nature. The superzoom camera features a 2/3-inch 12 megapixel EXR CMOS sensor—and of course, an incredibly versatile lens. Its F2.8 wide-angle to F5.6 telephoto, 26x manual zoom glass means you have a variety of shooting options at your disposal, even with a fixed lens camera—Fujifilm says you can get a full 52x total zoom as well as close ups at 1cm. New upgrades to the zoom function will save you from shaky stills and video recording (it records video at full 1080p HD). It has the same EXR processor as the X100 and X10, which we found above adequate (although we experienced some minor AF and shutter lag). The camera includes full manual controls, RAW as well as RAW+Jpeg shooting, and sweep panorama. Unlike its predecessors, it has an electronic viewfinder. 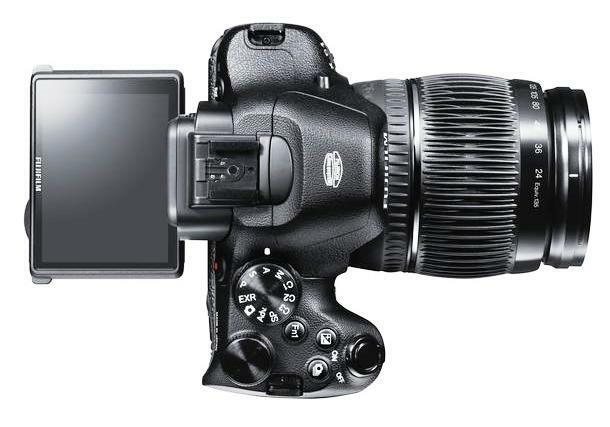 This also includes a heads-up sensor that automatically switches between the viewfinder and the LCD screen when the camera is raised to the user’s eye. Also in a departure, it has a larger LCD screen (3-inches, tilting) that should be just as bright at 460K pixels. True to the X-series, the XS-1 is something of a hybrid, with elements similar to a DSLR as well as a mirrorless device. Action shooters will also be excited about the camera’s 7fps high speed mode. It will be available in January for $800. Fujifilm also announced the HS30EXR (above) and HS25EXR (below). These are two more fixed lens, superzoom cameras from the brand that are definitely still on the high-end but don’t quite boast the same technology as the X-S1. 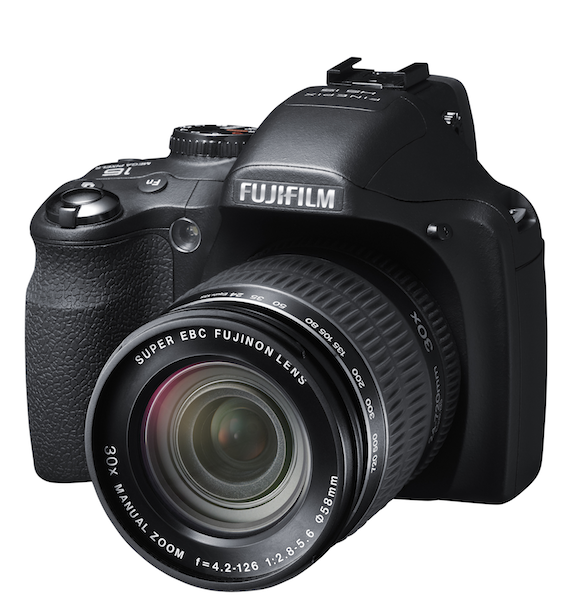 Both sport 1/2-inch 16 megapixel EXR CMOS sensors and 30x manual optical zoom lenses. But superzooms from big names can seem like a dime a dozen, so we’re happy to see Fujifilm added a tilting 3-inch, 460K resolution LCD displays on both of these models. The HS30EXR has the same “heads up” sensor the XS-1 does that switches between LCD and EVF depending on your use. And as you might have gathered from their descriptions, these cameras both feature telephoto lenses. But they also have the same Super Macro Mode that the XS-1 does, so close-ups are more than a possibility. These two models also include options like sweep panorama and intelligent flash, as well as manual shooting modes. One important distinction: the HS30EXR has a rechargeable Li-ion battery, and the HS25EXR takes AA batteries. The HS30EXR will be available in March for $500 and the HS25EXR for $400. Fujifilm also announced new iterations of many of its other consumer level cameras, which we’ll have hands-on time with at CES.